Update: Or perhaps not. Observers (via AppleInsider) have pointed out that the schematic actually refers to internal storage and not RAM, so the plot thickens a bit as to what storage configurations the new iPhone will really have. What's more, the schematic also apparently shows an NFC chip is slated for the iPhone 6, something we've heard rumoured before. Apple may be going bigger in physical size for the iPhone 6, but it may not have the same attitude when it comes to the phone's memory. A leaked schematic, purported to be for Apple's new iPhone, shows that the handset will feature just 1GB of RAM, which would keep it as low as the iPhone 5S and 5C. Rivals like the HTC One M8 and Samsung Galaxy S5 feature double that (and the Sony Xperia Z2 triple), meaning the iPhone's 1GB would be pretty paltry by today's standards. However Apple has always managed to get a lot out of a little, so we're not overly concerned by this news just yet. And remember, Apple's bigger, 5.5-inch handset is rumoured to pack in a bit more grunt power than the 4.7-incher, which could see the memory pushed up a notch on the bigger handset. Elsewhere in the magical land of iLeaks, the battery for the upcoming handset may have also been teased. Unlike the RAM, this will take things up a notch, moving from a 1560mAh battery (on the 5S) to a 1810mAh life source (via MacRumors). 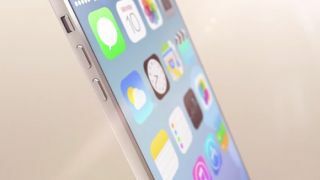 It's expected that the A8 chip will be about improving battery efficiency, so by pairing that with a better battery the iPhone 6 will hopefully offer a fair bit more life per charge. It shouldn't be long until we know how much of this is true: Apple is rumoured to be holding a press conference for the launch of the iPhone 6 on September 9 where all will be revealed. Maybe even an iWatch or two. What don't we know about the iPhone 6?